Where do old satellites go when they die? Like every other machine, satellites do not last forever. 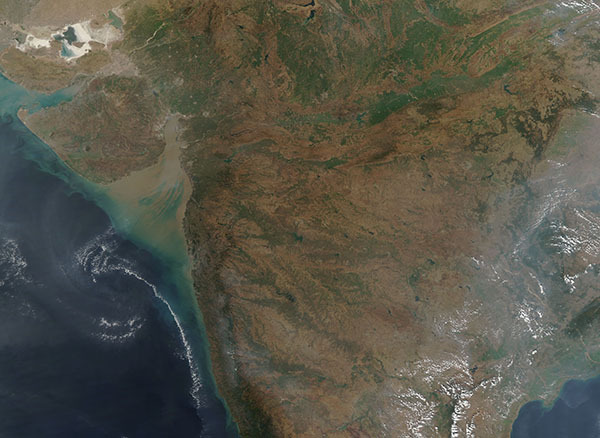 Whether their job is to observe weather, measure greenhouse gases in the atmosphere, or point away from Earth to study the stars, eventually all satellites grow old, wear out, and die, just like old washing machines and vacuum cleaners. So what happens when a trusty satellite’s time has come? These days there are two choices, depending on how high the satellite is. For the closer satellites, engineers will use its last bit of fuel to slow it down. That way, it will fall out of orbit and burn up in the atmosphere. The second choice is to send the satellite even farther away from Earth. It can take a lot of fuel for a satellite to slow down enough to fall back into the atmosphere. That is especially true if a satellite is in a very high orbit. For many of these high satellites, it takes less fuel to blast it farther into space than to send it back to Earth. Getting rid of the smaller satellites in low orbits is simple. The heat from the friction of the air burns up the satellite as it falls toward Earth at thousands of miles per hour. Ta-da! No more satellite. What about bigger things like space stations and larger spacecraft in low orbit? These objects might not entirely burn up before reaching the ground. There is a solution—spacecraft operators can plan for the final destination of their old satellites to make sure that any debris falls into a remote area. This place even has a nickname—the Spacecraft Cemetery! 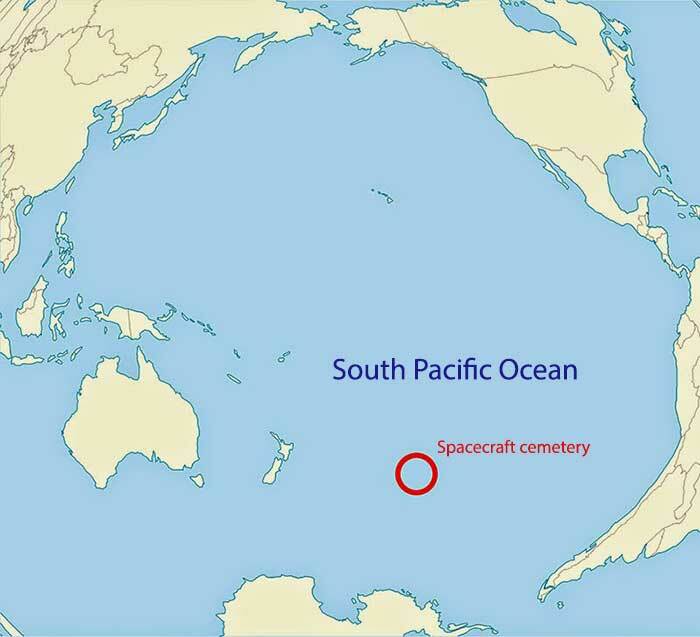 It’s in the Pacific Ocean and is pretty much the farthest place from any human civilization you can find. What about those higher satellites we blast farther away? Those we send into a “graveyard orbit.” This is an orbit almost 200 miles farther away from Earth than the farthest active satellites. And it’s a whopping 22,400 miles above Earth! 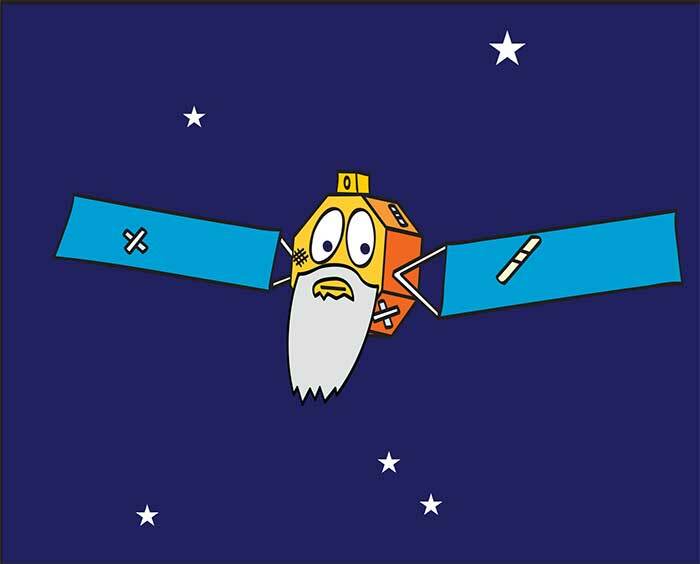 So is that the end of it for these far-away satellites? As far as you and I are concerned it is! However, some of these satellites will remain in orbit for a very, very long time. Perhaps someday in the future, humans may need to send “space garbage trucks” to clean these up. But for now, at least, they will be out of the way.